These animals are cosmopolitan, which means they can be found everywhere. Tardigrades have been found in hot springs, at the top of glaciated mountains, under layers of ice, and at the bottom of the ocean! As their distribution implies, tardigrades are incredibly resilient. For example, they can handle being cooled to 1 degree above absolute zero (~485°F), heated to 304°F, and dehydrated for 100 years! Scientists even tested them in the vacuum of outer space for 10 days. They survived. This ability to survive large environmental swings has led scientists to take a close look at tardigrade DNA. More specifically two scientific groups – one from the University of North Carolina and one from the University of Edinburgh – have separately sequenced the genome of the tardigrade Hypsibius dujardini (hip-SIB-ee-us doo-zhar-DEE-nee). The results from these two groups differed significantly, particularly when it comes to the estimated number of horizontally transferred genes. Horizontal gene transfer is when DNA passes from one organism to another organism through means other than inheritance. The most common forms of horizontal gene transfer include transformation, transduction, and conjugation. UNC scientists identified a huge number of horizontally transferred (HT) genes in their tardigrade sequences - around 6,600 genes or 17.5% of the genome. However, scientists at Edinburgh called this large number into question. They estimated that the number of HT genes in their sequenced data was less than 500 and suggested that the UNC group’s numbers were skewed by contamination. Contamination is a challenge when sequencing organisms like tardigrades. The problem is not just proper lab sterilization. The DNA of symbiotic and pathogenic microorganisms that live in places like an organism’s gut inevitably get sequenced along with the host’s DNA despite many precautionary steps. In order to distinguish between “foreign” genes that come from these organisms and “foreign” genes that are a result of horizontal transfer scientist’s at UNC re-sequenced the areas around potential HT genes. 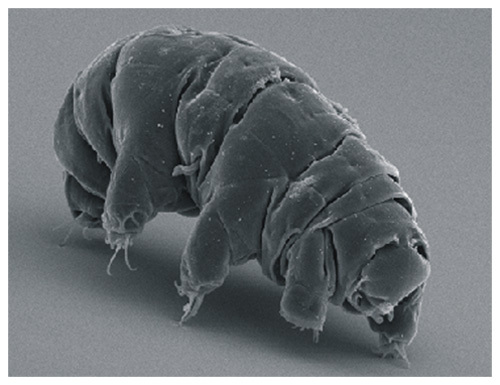 This re-sequencing showed that the foreign genes were on the same DNA strand as established tardigrade genes and thus were likely part of the tardigrade genome. However, this additional analysis was done for only a small subset (107) of the identified HT genes. Resolving whether the number of horizontally transferred genes in the tardigrade genome is in the tens, hundreds or thousands will take time. Luckily, both labs have made their data and methodology available to the larger research community. This will allow experts from around the world to participate in the discussion. While this debate continues we encourage you to check out these amazing creatures! The best way to do this is to combine a small amount of moss (collected from a backyard or park) and a small amount of distilled water in a petri dish or similarly sized bowl. 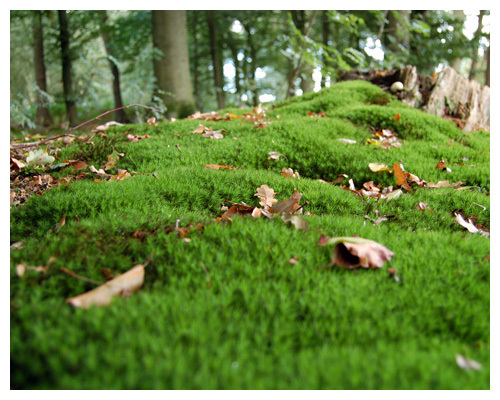 Allow the moss to soak overnight and then squeeze the water from the moss. Take this water and put it back in the petri dish or in a microscope slide. You should be able to see tardigrades in this water sample, especially under a dissecting microscope between 5 and 30 power magnifications. If you are interested in carrying out some horizontal gene transfer on your own we recommend checking out our exciting transformation kits (#221, #223/AP08, #225, #300 and #301).